Have a look at the first 3 letters of the word DIET. The World Health Organisation (WHO) classifies a diet containing less than 2100 calories for a man and 1800 calories for a woman as a starvation diet. The single most important factor of weight management is never to starve your body of food. Everyone is different right? How can you classify a guy of 280 lbs and a guy of 180 lbs needing the same calorie intake? We at Knight’s Fitness use a healthy eating guide and by teaching you to listen to your body, calorie counting is not needed to achieve your results. 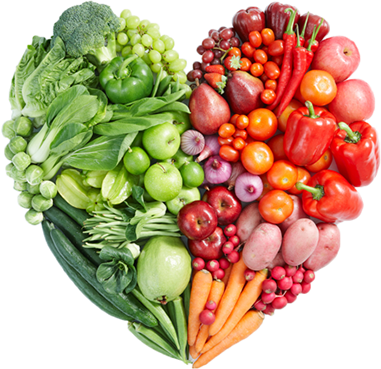 Good nutrition is vital for our health and for our bodies to function at optimal level. The key to healthy eating is EDUCATION. We strongly believe the majority of the UK population are uneducated when it comes to food and bamboozled by what they read in the press. There are so many conflicting ideas in the market place and faddy diets and slimming shakes etc. but what we can tell you is they DO NOT work. The key to losing weight and healthy eating is making a lifestyle change. You don’t have to give up everything but you WILL have to make some sacrifices to achieve your goals. Science is now playing a huge role in nutrition and what we now know is no longer guess work, it is proven hard scientific facts. Knowledge without application is useless, so it is our aim to give you the knowledge and the tools to change the way you think about food and help you on your way to a healthier fitter YOU! The single most important factor of weight management is never to starve your body of food. Everyone is different right? How can you classify a guy of 280 lbs and a guy of 180 lbs needing the same calorie intake? We at Knight’s Fitness use a healthy eating guide and by teaching you to listen to your body calorie counting is not needed to achieve your results. YOU ARE HOW YOU TRAIN! Atherosclerosis – Why do we exercise? 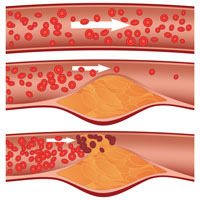 Atherosclerosis doesn’t tend to have any symptoms at first, and many people may be unaware they have it, but it can eventually cause life-threatening problems such as heart attacks and strokes if it gets worse.